(6/17/2003): To be solicited in PREVIEWS vol 13, #10. (12/11/2003): Delayed until 18 February 2004. Super-Iron-Man sketch by George Perez. Avengers / JLA #4 CGC 9.8 signed by both Stan Lee and George Perez. Also George Perez did an original sketch on the back of the Man of Steel / Iron Man. Also please note there are some scratches on the case shown in the close up picture of Stan Lee's signature. Brainstorm: ... the cover of JLA/Avengers #4. I wonder if this indicates that it'll be the Hulk (again) who takes down Onslaught but with a few "artifacts" to help out. Lol , that if the cover is reliable (not always the case these days!). Thanks for posting! Inspired by the Superman cover to JLA/Avengers #3, I just had to try my hand at this awesome George Perez image. This auction is for my own original art, black and white on 8.5 X 11 sketch paper and a color laser print of the colored image, 8.5 X 11. Winning bidder pays actual shipping costs. Payment must be recieved within ten days of auction close. George Perez, illustrator of the long-awaited JLA/Avengers. It was the series George Perez had been waiting 20 years to draw. All the legends would be there: Superman, Captain America, Wonder Woman, Iron Man, Batman, Hulk. Oh, and about 200 others. JLA/Avengers (JLA is the Justice League Of America for those not in the know) brought together the greatest superhero teams from both DC Comics and Marvel Comics in one epic tale, written by Kurt Busiek and pencilled and inked by Perez, who called it: "one of the most thrilling and greatest challenges of my career." "It was a fanboy dream to draw all those characters from two different companies meeting together, with, of course, the added pressure of 20 years of anticipation," said Perez, also a special guest at this weekend’s Canadian National Expo. This inter-company crossover series was originally conceived in late 1982, but fell apart just months after it began due to squabbling – in spite of the fact Perez had already drawn 21 pages. When the plug was pulled it was thought this idea was dead. But the series finally became a reality late last year and it lived up to the expectations of many – including its artist. "After everyone waiting for 20 years, including me, I couldn’t let that be less than my all-out effort," Perez said. The series has recently been collected in the Cadillac of hardcover editions, featuring a slipcase containing an oversized hardcover of the complete four-issue series and a fascinating companion volume that outlines its history, complete with annotated copies of Perez’s original 21 pages. The collection is outstanding and very much befitting the scale of the project. "I expected that maybe they would give it a hardcover collection, but to do it with this type of production value was really flattering," Perez said. "It galvanized my feeling that both Marvel and DC have been trying very hard to make this project something that I can be proud of." Having recently celebrated his 50th birthday and completed one of the great showpieces of his career, Perez says he’s in a great place in his life. "I’m doing exactly what I love to do more than anything else," he said. "At the age of 50 I’m looking at the road ahead that has … so many avenues waiting for me." 08/14/2004: "2004 WIZARD FAN AWARDS WINNERS"
The 2004 Wizard Fan awards were announced last night at a somewhat more subdued ceremony than usual. Wizard staffers Mike Cotton and Richard Ho emcee’d the affair, and presenters included Joe Quesada, Jeph Loeb, John Cassaday, Alex Ross, Jim Lee and Kevin Smith. The Loeb/Lee BATMAN continued to dominate the awards, winning for artist, inker, letterer, colorist and ongoing. I WIELD THEIR ENERGIES NOT as pointed out by Visionary AVENGERS/JLA #4, page 2, panel 2. Should be read as "I wield their energies now". NOTHINGESS as pointed out by Torsten B. Abel AVENGERS/JLA #4, page 2, panel 7. Should be read as "Nothingness"
ST ROCHE as pointed out by Torsten B. Abel JLA/AVENGERS #1, page 36, panel 11. Should be "St. Roch", which is Hawkman's base of operation in New Orleans, Louisiana. Estimated sales of the top comic titles to comic stores by Diamond Comic Distributors were up in March, with 14 of the top 25 titles showing increases in sales over the previous issues. DC had a stronger month than usual, with 10 out of the top 25 titles, led by Superman/Batman #8 (which has now gone through two sold-out printings) at #1, and the Superman family of books, which is riding the red-hot Godfall story arc. Both Superman/Batman and the entire Superman family were up over sales on previous issues. The final Avengers/JLA, #4, came in at over 143,000 copies, a little down from sales on #3, but still a very strong finish for this popular cross-over. April 22, 2004 | A/JLA #4 Similiar Covers? I mentioned the basics of the following observations on the CBR Message Boards.... I noticed that Perez’s cover for AVENGERS/JLA #4 (comics.toonzone.net) is similar to the Perez/Ordway cover for ACTION COMICS ANNUAL # 2 (image.milehighcomics.com) . Each cover shows an angry Superman, wearing the remains of his costume. His stance on the one cover approaches being a mirror image of his stance on the other cover. (Supes is of course leaning a bit more sideways on the earlier cover, and the position of the knuckles of the lower hand in each picture is different.) Both covers have Superman on an alien terrain, with a starry background. Lightning is emanating from Thor’s hammer on the cover of AVENGERS/JLA # 4, and energy is emanating from the weapon on the cover of ACTION COMICS ANNUAL # 2. I also see similarities between the cover of AVENGERS/JLA #4 and the Curt Swan/George Klein cover of ACTION COMICS # 329 (image.milehighcomics.com). First things first, I'd wanna congratulate George, Kirk, Tom and co. for their hard work and dedication on the very successful JLA/Avengers mini-series! The 4th and last issue may have been delayed, but it's all worth the wait! My first impression on the cover was...? Well.... But Man, was it enjoyably AWESOME on the inside! So okay, despite being a Marvel fan, Superman looked good with both Cap's shield and Thor's hammer. The use of that Chronal instability was a terrific gimmick. An intelligent move on the part of Kurt. It gave George the chance to do what he'd long wanted and to do what only he can do- DRAW WHOEVER AND OR EVERBODY HE WANTED! Eventually making a very spectacular panel to panel battle to the finish! The surprising appearances of various supervillains who've ever fought both JLA and Avengers was great! I really had fun doing the naming game. then guessing what their powers were and who they're pitted against! Damn! Diamond has released the Top 300 date for March, and more and more, it’s starting to look like a bit of a DC comeback story, as Superman/Batman #8 was the #1 book for the month. While Marvel was #1 in both dollar and unit shares for the month, the margin by which they beat DC was noticeably smaller than their February numbers, where Marvel beat DC by rooughly eight points in dollar share and over thirteen in unit share. This month, however, Marvel was ahead of DC by a little over one percentage point in dollar share (DC was undoubtly helped by Avengers/JLA #4), and just over five percentage points in unit share. ComiX-Fan concludes its compilation of annotated references for the mammoth Marvel/DC crossover series JLA/Avengers with the release of the list for issue #4. Wraparound Cover: Superman wielding Thor's hammer and Captain America's shield. Page 1: Galactus, a powerful cosmic entity in the Marvel Universe, first appeared in Fantastic Four (1st series) #48. His origin was first revealed in Thor (1st series) #169 and retold in Super-Villain Classics #1. Krona, or Entropy as he later became known in the DC Universe, first appeared in Green Lantern (2nd series) #40. Krona was also instrumental in setting up events for the Crisis on Infinite Earths, which prominently featured the hand surrounding the universe - a homage to how the DC Universe was created, first shown in Green Lantern (2nd series) #40. Page 2, Panel 1: Metron, one of the New Gods in the DC Universe, first appeared in New Gods (1st series) #1. As a comics fan, I’m feeling pretty down right now. I’ve finished reading the Avengers/JLA crossover #1-4 in one sitting, and while it was one of the best comics stories I’ve ever read (and I’ve read a few), I can’t help but feel depressed. Why? Well, because it’s over. This tale has been on readers’ minds for twenty years, when George Perez was tapped to draw it for the first time. Then Marvel Editor-In-Chief Jim Shooter shut down the project, when Perez had already drawn 22 pages. Finally, we’ve seen the most demanded team-up tale ever come to reality. Was it worth the wait? I have to say, yes! It seemed like the most natural idea in gaming history: Combine the Avengers and the JLA -- two of the most popular superhero franchises -- into one ultimate game. Unfortunately, as seems to happen with most "Big Event" games, expectations far outpaced execution. Things got off to a promising start. Busiek and Perez, two of the most popular superhero developers in the biz, were hired to bring Avengers/JLA to consoles everywhere. Early screenshots and demos looked promising. And after a period of relatively few crossovers, the industry seemed due for a good universe-meets-universe team-up. Art-wise, the mad mix of timelines allows for the appearance of fan-favorite versions of each character. Not only do GL and Atom go through some major changes in split-second sequence, but we get to see nearly every costume Wasp has ever worn (most of them already old Perez designs). While Busiek excels at scripting both Wonder Woman and She-Hulk, Perez just doesn’t have the hang of Jen. She’s about as feminine as wrestler Chynna, which is a very unsubtle way of looking at Banner’s fun-loving relative. Well, it's not a bad ending. It's the kind of good solid ending that you'd expect to a major event superhero story, and that's really my problem with it. This whole series has been very conventional in tone, and even though that's sort of the point with something like this, I can't help feeling disappointed. Don't get me wrong, this comic is very well put together. George Pérez produces better work than he ever did in his recent Avengers run, and if nothing else, I can reread this multiple times just to look at the gorgeous art. Although my main criticism of the series is its conventional nature, it's very significant that Pérez 's orthodox superhero style here outshines the back-to-the-Image-days style that Marvel and DC are making big hoo-hahs about elsewhere. No offence, Messrs Turner, Lee and Silvestri, but you can't touch Pérez, even if he really can't draw She-Hulk to save his life. It's finally here! The big one, or should I say the last one. Either way, we now have the wrap up of possibly the most anticipated company crossover ever. For months I’ve seen so much griping from some fans of both companies about it not living up to expectations and the Marvel fans in particular seem to feel slighted as they felt DC’s heroes were receiving better treatment. Unfortunately, that’s what we seem to get in this growing online world. The complaints get the attention, but the praise seems lost. Personally, I enjoyed every minute of it. Kurt Busiek and George Perez really deliver the goods with this mini-series. We got the big cosmic danger, the fight between teams, the merging of teams and finally an all out war between heroes and villain to save two universes. With everything all said and done, you really couldn’t ask for more. Aww shucks ..sure here you go..
You guys better vote for me !! > Could we get a hi-res version of the full cover art (front and back) of issue 4, like we got for the previous issues? Just for the sake of completness. The long-awaited conclusion to the longest-awaited Marvel/DC crossover is here. Cutting to the chase: it's worth the wait. And it also features what is probably the coolest DC/Marvel cover since Superman and Spider-Man first met all those years ago. Or is this one actually better? Superman carrying the shield and hammer? Come on! You know it's going to be good. WARNING: This is a choppy review and it contains spoilers. Where do I start? In my opinion, the past couple months have been a let down. Super-hero comic books have fallen short, and not a single one really has stepped up save for maybe Superman/Batman. Thank God for Avengers/JLA #4. Even with a two month hiatus, this concluding issue has blown every other comic out of the water. I would be mightily surprised to find that Perez hasn't gone completely round the bend drawing all the battles and costumes in this issue. And if you think I'm going to tell you what's up with Superman and that shield and hammer he's holding on the cover... dream on! Spoil the best moment of the whole book? Suffice it to say that, yes, what you see on the cover indeed occurs in the book, and the whys and wherefores will be explained when you actually pick it up and read it. I am getting reports that some stores got preview copies of AVENGERS/JLA #4. I won't post spoilers on the front page, but feel free to post in the forum with SPOILERS in the headers. Comics Continuum has previews of this issue, similiar to Pop Culture Shock, only with the cover and fifth page. Celebrate the finale of the biggest crossover in comics history! The World's Greatest team-up of Earths' Mightiest Heroes climaxes with the fate of both universes hanging in the balance! This one is crammed full of everything you read comics for. Don't miss it!. Just thought I'd let everybody know that I'll be doing a signing at my comic shop of choice, Jim Hanley's Universe on 33rd Street in Manhattan this coming Wednesday, 3/10, from 6:00 to 8:00, along with SHE-HULK writer Dan Slott. So anybody who's going to be in the neighborhood, feel free to come by and complain about Chuck, or where JLA/AVENGERS #4 is, or whatever else you'd like to talk about. Our 1st creator appearance of 2004! In celebration of the release of She-Hulk #1 join us for an evening with She-Hulk writer DAN SLOTT (Arkham Aylum: Living Hell) and Marvel editor and "comic-know- it-all" TOM BREVOORT. Tue Mar 2, 2004 4:35 pm, from "Direct Sales"
On the other hand, the book is finally at the printer, so this is the first date DC's been able to give htat was more than a guess. Up 'til now, we've just been estimating when George might be finished, but now that everyone's done, the process is much more certain. If the guy running the presses gets tendonitis, after all, they'll just have someone else do it -- not an option on the art front. JLA/AVENGERS #4 - SIGNED BY GEORGE PEREZ AND TOM SMITH! The pulse-pounding conclusion to the greatest team-up of them all is here! Best of all artists George Perez and Tom Smith are both signing this final issue exclusively for DF! Each Signed copy is hand-numbered sealed with a DF Holo-Foil Sticker and includes a numbered certificate of authenticity! Where the heck is JLA/Avengers #4? George finished the last page this morning. As soon as lettering and coloring catch up to him (and they're not far behind), we're off to press! I don't know when it'll hit stores. I would guess it won't be in the next couple of weeks, but since Tom is coloring pages as George finishes them and I've scripted the whole thing from George's layouts (and Comicraft and I are tweaking the script and lettering as we see the finished art), it'll be off to the printer within a couple of days (maybe less) of George laying in that last line. Which is dependent on how fast he can work through his tendonitis. If George has a hard-and-fast date for that, or if Marvel and DC have a hard-and-fast date for when the book will be on the local shelves, they haven't told me. Which is no sweat by me, since telling me wouldn't make it a guarantee, nor would it make anything happen faster. I'm just making it as good as I can, and it'll be out as swiftly as it can be. January 31, 2004 | A/JLA #4, "Almost Done"
> People keep commenting that the upcoming final issue of the JLA/Avengers mini-series being delayed again until March 17? Now I haven't heard anything official yet from anybody connected to this project, Tom Brevoort?, Mike Carlin?, Kurt Busiek?, George Perez?, Tom Smith?. If it is delayed again, argghhh, but as long as George gets back to full strength, thats the important thing afterall, it would be good to know whats happening thats all. Things are moving along very smoothly. We are almost done. Believe me , Perez detail lovers , it will be well worth the wait ! January 25, 2004 | A/JLA #4 Delayed to March 17? Fine, as far as I know. George did layouts for the whole rest of it for me to work from, so we could have it scripted and lettered while he and Tom were doing the ink and color, so I don't know for sure how many pages are finished. But I haven't heard of any further problems. As Kurt said it's moving right along smoothly now and wait until you see who Thor knocks ourt in issue #4 ! best..
BF: Which was the best book (or issue) put out by a different company than yours? 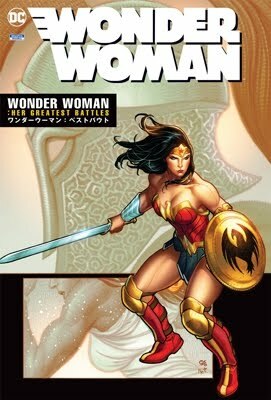 BILL ROSEMANN: Everything written by Brian Michael Bendis was gold...Batman by Jeph Loeb & Jim Lee got everyone excited...Y: The Last Man & The Ultimates kept everyone on their toes...and how fun was JLA/Avengers? Yes, this was a great year to be a comics' fan! New information on products since Previews was released. Due to a case of tendonitis suffered by series artist George Pérez, Avengers/JLA #4 (OCT030233, $5.95) has been delayed. Originally set to ship on December 31, it will now ship on February 18. The climactic fourth issue of AVENGERS/JLA has been rescheduled for an in-store date of February 18. "What happened is that I worked myself into tendonitis with the cover to issue #3," says artist George Pérez. "No one else is to blame but me: not Marvel, not DC. I've been slowed down a tad, but I'm determined to get this thing done. I just don't want to let anyone down by rushing at the end. I'm grateful to everyone involved for being so patient. And I'd like to point out that despite having two creators who've had their share of physical ailments in the last few years, we've delivered three issues on time!" AVENGERS/JLA #4 (OCT030233) is available for advance reorder and now is scheduled to arrive in stores on February 18.
johnpif: The only thing that bothers me is that I read somewhere that George had to finish the series before anything could be printed, so the series would not be late, and /or actually EXIST. George and I suggested that we get the whole thing done before it got scheduled. DC and Marvel settled on having most of it done, to the point that they'd be assured #4 would be done in time. Nobody was expecting tendonitis. But no, it wasn't all done. I think that George may have wanted to re-do some scenes, or make the book even more formidable. The book's plenty formidable. George isn't redoing any scenes. I'm having dinner with him Friday, and with luck the pencils will be done by then. I'll take 'em home and script them within the next week or so, and then it'll just be a matter of inks, colors and letters. No replotting. No redrawing. The scripting can't be done 'til the art is, so we couldn't "rescript" something that isn't actually fully dialogued yet. Have a little faith in these guys! You bet -- especially when we tell you that this whole rumor is a complete fabrication with no basis in fact. The inaugural Wizard World Texas convention is well underway this weekend in Arlington, Texas, and live from the con floor Patrick James and Omar A. Safi have provided ComiX-Fan with a wrap-up of news from the first two days. Writer Marv Wolfman and artist George Pérez will complete their New Teen Titans original graphic novel from 1987, Games. Pérez originally completed 73 pages of the project before it was put on hold due to the artist's increasingly busy schedule. Now, the OGN will include a new framing sequence set in current continuity that will lead into the flashback tale. Look for the hardcover in late 2004 or early 2005. On Day 2, Marvel Comics Editor-in-Chief Joe Quesada held his regular Cup O' Joe panel in which he discussed several topics. JLA/Avengers artist George Pérez announced that issue #4 will be delayed due to stress injury he incurred from the three weeks he worked on the cover to issue #3. Pérez said that the delay should only be about three weeks, and the issue should be out by mid-January. Pérez also stressed that JLA/Avengers has no continuity connections to the previous Marvel Comics Versus DC mini-series'. * JLA/Avengers artist George Perez, who has a hand injury, said that the fourth and final issue won't be out in time to meet its originally solicited Dec. 31 release. "It'll probably be out two or three weeks after that," Perez said. "Do not blame Marvel or DC or Kurt (Busiek, the writer) or anybody else. Blame me. I am the sole person to blame." George Perez reunites with Marv Wolfman to complete The New Teen Titans graphic novel Games, begun in 1989. Perez said that the final graphic novel will be about 160 pages. Crossgen's "The War" is going to be 3 issues long and it's going to be written by Ron Marz. The first issue is going to be solicted in May of 2004. It's going to resolve many storylines in many of the Crossgen titles. Perez is jubelent about JLA/Avengers first issue success. He says that he can finally clear out is debts and then some. The selling of the art alone is going to provide his wife with a new car! He also is very glad that this series is totally going to be for the fans. As of today. 1/4 of issue 4 of JLA/Avengers is pen & inked. It looks like it will meet the Dec 31st release date. Perez is very commited to meeting the deadline so that all of the issues will be released before 2004. There is talk of about what format the collected edition is going to be. Perez said that DC is talking to put it into an "absolute" HC format (which I will lobby to no end!). They also said that the prior JLA/Avengers art might be printed in the collected edition as well. Perez needs the cover to issue 3 back because he needs to draw 4 more characters in it! It took 3 weeks for him to draw it. Tom Smith was asking fan at the con to find him color references for some of the characters! I did get one nugget of exclusive info. Hawkeye and Black Canary will meet in issue 3. That's all I can think of right now. I'll see how much will get back to me later on in the week. Marvel Comics is both proud and encouraged to announce that unprecedented demand has led to the production of over 200,000 copies of JLA/AVENGERS #1 for shipment to the direct market. The George Pérez-Kurt Busiek created mega-event 20 years in the making - which initially went on sale 9/4 – has exceeded all sales expectations for this co-publishing initiative by Marvel and DC Comics. Thanks to the strong support and show of faith by comic book retailers and readers, JLA/AVENGERS #1 has joined the ranks of a small group of modern classics that have captured the imagination of our fans and continue to propel the business forward. "I knew JLA/AVENGERS was going to do well," said writer Kurt Busiek, "but to have it do THIS well is just amazing. I'm delighted retailers had so much faith in the project, and I'm delighted readers bought 'em all up and sent the retailers back for more. And the reaction we're getting on the series is terrific - it seems like people thought it was well worth the wait, and I'm very glad to have been a part of it." The Interest in this special once-in-a-lifetime event is also another strong indicator of a growing overall sales phenomenon that began this past spring. "Since May, from Wolverine #1 to July's Spectacular Spider-Man #1 to August's 1602 & Supreme Power #1, sales of all our big launches have surpassed our already high expectations," said Marvel Marketing Communications Manager Michael Doran. "And that trend continued into September with JLA/AVENGERS #1 and ULTIMATE SIX #1. We're also seeing very positive growth in our other top titles like Ultimate Spider-Man, Ultimate X-Men and New X-Men, and we expect the trend to continue into the fall then straight into the holiday season and into next year. So to the fans and retailers fueling this remarkable run, Marvel would like to say thank you." "This is great news for everyone in our industry," added Marvel Editor-in-Chief Joe Quesada, "...from readers and creators to retailers and publishers. And the even better news is projects like JLA/AVENGERS won't be just the occasional random spike we've seen on the sales charts over the last few years. Marvel has been working tirelessly to raise the bar for the industry and today we can finally see the seeds of those labors bearing fruit. It seems like almost every month the sales ceiling on top-selling titles is being raised and with ULTIMATE FANTASTIC FOUR and MARC SILVESTRI's return to the X-MEN upcoming, we're sure to see more of the same. I fully expect that in the near future the 300K mark is just around the corner." AVENGERS/JLA #2 goes on sale October 22nd from DC Comics. JLA/AVENGERS #3 goes on sale from Marvel on 11/26 and retailers are reminded its Final Order Cut-off (FOC) date is 10/30. The four-issue prestige format limited series concludes in December with AVENGERS/JLA #4, published by DC. I sent you a scan of the cover. It comes out officially at midnight. Here is the link to the cover. I guess the Thor/Superman thread was right. I can't wait to the other side. Check here in The Continuum after midnight for DC Comics' solicitations for December, with more than 100 cover images and DC Direct product photos. September 1, 2003 | Pérez To Move to New CGE Series? George Perez will soon be taking a break from Solus to finish up the final issue of JLA/Avengers, and gear up for CrossGen’s Mega-Crossover The War. The early buzz is that The War will run for six issues, and give George the chance to work with the entire library of CrossGen characters. Makes perfect sense. After all, when you think of galaxy spanning crossovers, who else comes to mind? Afterwards, George may be moving onto a new series. But details are still sketchy there. The times, they are a changin’ for the Justice League of America. As DC announced in San Diego, a spin-off title is coming, while rotating creative teams will handle the main title. We caught up with JLA editor Mike Carlin for a roadmap. Carlin inherited the series as a result of the editorial restructuring that went on at DC earlier this year which saw former JLA editor Dan Raspler fired by the publisher, and Carlin stepping down from VP – Executive Editor to Senior group Editor. “With a spin-off and double shipping for six months at least, there’s going to be a lot of JLA projects out there, which I think is part of what we’ve been wanting for years on the title – to capitalize on something where clearly, there’s room for more. Obviously, if we put out a bunch of stinkers, it’s not going to help, but I think that if we can put out five Batman books and four Superman books every month with just the one character in them, why can’t we just do two Justice League books a month every now and then. Comic's ultimate crossover has been 20 years in the making, and with the project debuting in September, the artist details the challenges, the exhilaration and how he almost called it quits. I've waited my entire life for one day - the day JLA/Avengers became reality. Sure, for the last two years, I've been drawing the JLA/Avengers match-up pitting the classic superteams from the rival publishers DC and Marvel Comics. And after pushing for 20 years, a handful of false starts, scuttled plans and missteps, I wasn't sure if JLA/Avengers was ever going to see the light of day. Back in 1983 we came close. I actually drew 21 pages of a JLA/Avengers one-shot, but company policies and editorial wrangling torpedoed the project before I ever put pencil to paper on page 22. And, of course, there were always rumors. A comic convention ever went by when someone didn't asking me, "When are you going to do JLA/Avengers?" over the years, the project took on mythical proportions with expectations and speculation rising with each passing year. And if it were up to me, I would've done it in a second. But when you're dealing with the two biggest publishers in comics (and some of the biggest egos to boot), nothing's easy. But today, June 27, 2003, as I finished off the inks (did I mention, I'm penciling and inking the entire series?) on issue #3, I can hardly believe JLA/Avengers is almost complete. This is my diary from the first time I seriously began talking to Marvel and DC about the updated version of the crossover. Everything from the first phone calls in 1999 to today as I review the colors of the Batman/Captain America fight. If you think you know everything there is to know about the new JLA/Avengers, think again. Jan 10, 1999 - I've been approached on and off over the years about a JLA/Avengers project. But now that both JLA, with Grant Morrison and Howard Porter, is successful, and Avengers is successful under Kurt Busiek and myself, it looks like we might get a shot at actually doing the series. Kurt and Tom Brevoort believe it's a perfect time. Now that these two books are hot, why don't we start negotiating it? Everyone is a little concern that I won't have time to draw the regular Avengers series and the crossover, so we decide it just take place in both regular series and I'll draw the Avengers half with Howard drawing the JLA half. It's a terrible monster to coordinate, though. Apr 15, 2000 - Thankfully, Marvel and DC have cased negotiations. No one wants to do this series more than I do, but I don't think Grant really had any enthusiasm to do a crossover book like this. I'd rather draw the entire thing myself. This is my baby and I don't want anyone else breast feeding her. Aug 5, 2000 - Now that Mark Waid's been tapped to write JLA, there's been talk of working out another crossover with Mark and Kurt co-writing it. But this time, I'll draw the entire series. I'm keeping my fingers crossed. Aug 28, 2000 - I finish my last issue of Avengers today. I'd hope to be working on JLA/Avengers by now, but who knows when that will happen. Sep 3, 2000 - Joe Quesada took over as editor-in-chief of Marvel Comics a few days ago. I am a little disappointed when I called to congratulate him and he tells me that he isn't interested in doing any more crossovers with DC. Joe feels that the novelty of inter-company crossovers has been diluted by the recent glut of such projects. I can't really disagree. Even I wrote one, the Silver Surfer/Superman crossover in 1997! Joe doesn't dash all of my hopes though. According to him there's one crossover he'd do - JLA/Avengers. He also says that the project's mine if he can get it approved. He says he'll keep me informed. I won't hold my breath. Oct 5, 2000 - I just started doing CrossGen Chronicles and Mark Alessi calls me today to ask if I'd be interested in working for his company full time. I'm seriously considering his offer, but with JLA/Avengers being talked about again, I'm not sure if I want to lock myself down in an exclusive contract with CrossGen even though it's very enticing. Oct 18, 2000 - Both DC and Marvel have now expressed interest in having me pencil JLA/Avengers, but no one's even started talking about contracts yet. Also Mark [Waid] just signed an exclusive with CrossGen , so Kurt would have to write it solo. I wonder if this is just going to turn into another debacle. Nov 22, 2000 - I've informed Marvel and DC that if I don't receive a written agreement by Dec 15, I'll sign and exclusive contract with CrossGen and won't be able to work on JLA/Avengers for at least two years. What happened with the 1983 JLA/Avengers crossover? In the early 1980s, it looked like nothing could stop a JLA/Avengers crossover- nothing but Marvel and DC Comics. Following up on a very successful string of crossovers like 1976's Superman vs Spider-Man and 1982's X-Men/New Teen Titans, Marvel and DC agreed to a JLA/Avengers one-shot crossover. Gerry Conway plotted the story and George Pérez was assigned to pencil it, but before long, problems began to surface that would eventually torpedo the project. Conway's initial plot, which reportedly revolved around time travel and set the JLA/Avengers up in a Contest of Champions-style competition, took almost two years to complete. By February of 1983, though, Marvel Editor-in-Chief Jim Shooter was finally able to review a plot - he refused it flatly, claiming the story made no sense. Everyone agreed that a revised plot was needed. Unfortunately, no one told that to Pérez who began drawing the rejected plot. "It was excruciatingly annoy," says Pérez today, the only person to work on both the original one-shot and the current four-issue crossover shipping in September. "I drew 21 pages before I got the call to stop penciling immediately." Eventually writer Roy Thomas re-scripted the initial plot but the infighting between Marvel & DC's editorial teams put the project in jeopardy. Everyone from Pérez to Thomas to Shooter did interviews about the project's continued delays and by May of 1984 both published officially scuttled the one-shot. Dec 15, 2000 - I finally received the contract for JLA/Avengers and I inform Mark Alessi I will go exclusive with CrossGen as of October 2002. Jan 17, 2001 - While Kurt, Tom and Dan [Raspler] work on a plot, I work on the first promo art for a joint announcement at March's Orlando Megacon and Wizard #116 in March. I can hardly believe I'm being paid for an actual piece of artwork for JLA/Avengers. This isn't a fan commission - this is the real deal! Mar 2, 2001 - By the time we all get together in Orlando to announce the project, everyone was already talking about it. I guess a project this big can't be kept under wraps for too long. And since Marvel and DC already announced they'd be co-hosting a panel, most fans and pros have already put two and two together. It eases my mind a little bit now that everyone knows JLA/Avengers is a go again. Now that DC and Marvel have put their collective reputations on the line, I don't see anything holding this project back anymore. Mar 24, 2001 - as expected the plot is taking a long time to be approved. I'm already receiving pieces, but I can't get a real feel for the story without everything. I like what I see so far, though. Apr 6, 2001 - Wizard wants to run the first art from JLA/Avengers, so I'm jumping ahead of my work to push through the pencils and inks on the first two double-page spreads. I can't wait for fans to get a look at this stuff. So far, I haven't drawn any pages of the JLA and Avengers interacting, so we picked out pages of the JLA fighting a major Marvel Villain (Terminus) and the Avengers taking on a major DC villain (Starro). Apr 8, 2001 - There's so many characters in this series, I'm doing research like crazy. I literally couldn't remember what Terminus looked like today! Apr 15, 2001 - Marvel and DC have a very different vision of what the coloring on JLA/Avengers should look from mine and Tom Smith's. I feel bad that Tom's caught in the middle. Apr 20, 2001 - I am growing increasingly annoyed with the coloring on the two spreads we're sending Wizard for their "First Look". When I voice my displeasure to Tom and Dan both decide that Tom Smith and myself are more than welcome to make any grievances public. I guess no one wants to be the person who has to go to their bosses and say, "I'm the one responsible for George Pérez quitting this book." May 3, 2001 - I just finished page #21 of the first issue. As I wrote "JLA/Avengers issue #1, page #22" on the next art board, I realized this is further than this project has ever gone before. I called Tom Brevoort immediately to celebrate. This is a landmark day! May 17, 2001 - The plots are slowing down and I don't think it's Kurt's fault. Dan Raspler doesn't want to approve anything until he gets a complete plot. I'm getting annoyed. He seemed to be very indecisive and that's something we can't allow with a project this big. May 21, 2001 - Since a holdup in plot approval doesn't allow me to continue penciling, I start to ink what I've already penciled for issue #1. I want this project to be "all George Pérez", a complete representation of my art. Jun 7, 2001 - Now that issue #1 is penciled and I'm halfway through penciling issue #2, DC's business department want to have a firm date when JLA/Avengers will ship, but that's impossible at this point. There's no way this book should have a ship date until we know it can ship. I tell Marvel and DC that I'll walk away from the project if they don't hold to their word when they said, "JLA/Avengers will ship when JLA/Avengers is ready to ship." Jun 18, 2001 - I work on the first meeting between the JLA and Avengers today, and Thor cracks Superman with his hammer in a scene that's going to be huge! I would expect no less from Kurt! Jul 10, 2001 - As I'm inking the last pages of issue #1, I learn I'm going to have to go back and redraw Green Lantern's costume. DC recently updated his look and it'll need to be reflected. After speaking with everyone involved, we agree that this will be the last costume change we make. If costumes or characters change from now on, they won't be reflected in the crossover. Aug 1, 2001 - With the pencils on issue #2 almost complete, I make preparations to take a brief vacation to France with my wife this September. I look forward to taking some time off. Sep 11, 2001 - As my wife and I prepare to go to the airport we hear the news about the World Trade Center disaster. I can't believe any of this. We cancel our trip. Jan 5, 2002 - Looking over my bank records, I realized that I'm losing about 30 percent of my income now that I'm only working on JLA/Avengers. I'm very worried about bankruptcy, I've called my art dealer and he's set me up doing some commissions pieces to help out. Jun 3, 2002 - The plans for my new CrossGen book, Solus, haven't been finalized yet, so I've got a one-month reprieve to work on JLA/Avengers. Plot approval remains slow. I'm at a stand still on issue #3 pencils, and I continue inking #2. Aug 20, 2002 - I draw the Batman versus Captain America fight today. This one will make the fanboys go crazy! Oct 1, 2002 - My CrossGen contract has gone back into effect. From now on, I'll only work on JLA/Avengers at night and on weekends. I'm still penciling and inking issue #3. I'm jazzed to be working on Solus with Barbara Kesel, but I wish I had a little more time to devote to JLA/Avengers. Mar 7, 2003 - I can't ever recall working longer days. I work on JLA/Avengers off the clock constantly. Even when I sti down to watch TV with my wife these, I find myself bring a board and pen with me to finish the inks on issue #3. Apr 23, 2003 - We're in the home stretch. Although the final plot is still being worked on, I begin penciling the first third of the JLA/Avengers #4. We decide to solicit the project for September - the first issue debuting Sep 3 - and I'm confident we can meet that deadline, but it's still going to be tight. We may have to go to a six-week shipping schedule, but I'm sure each issue will be worth the wait. Jun 27, 2003 - Now that we're less than three months away from shipping issue #1, I've finally got some breathing room. Although most of my week is taken up working on Solus, the pencils on JLA/Avengers #4 are coming along nicely and the inks on issue #3 are almost done. Looking back, this has been one of the most enjoyable and creative experiences of my 30-year career. People ask me how I feel and I tell them to get back to me Sep 3, I'll feel a lot better then. In a notable show of restraint, DC Comics managed to have a major panel Sunday at Comic-Con International in San Diego without mentioning yet another Marvel Comics creator that they'd managed to lure over to DC exclusivity with a better offer (presumably including a fat Warner Brothers check). And while "JLA/Avengers" #4 is still being penciled by George Pérez, the first issue is already at the printers, and the other issues are at stages in between, but "it's really happening this time," writer Kurt Busiek said. (Mike) Carlin said that issue #1 of Avengers/JLA is at the printers, while issues #2 and #3 are bring lettered and colored. Issues #3 and #4 are being scripted, and issue #4 is currently being penciled by Perez. * Kurt Busiek said that JLA/Avengers #1 is at the printers. The second and third issues are being lettered and colored. Lea Hernandez: So talk to us about JLA/AVENGERS? Kurt Busiek: What do you want to know? Lea: Well, it comes out in September, I know this. I did my research. And, erm, tell us something that you've haven't told anybody else, just because we're pals. Kurt: Well, I haven't told many people much. But let's see. I really have no idea what to say. It's a fun story, we're -- George (Pérez) is working on issue four. It's going to come out in September. It looks fantastic. I don't know. I don't want to tell you. I don't want to tell you any secrets. Lea: Oh well, that's what I was sort of rooting around for. Kurt: I know that's what you're rooting around for, but I'm not going to do it. Lea: Tell me a secret. Kurt: Because I know, you know, that you're going to tell the public at large. Lea: Of course, we are! Kurt: And I'm not going to do it. You've got to buy the comic! Lea: Well you know, this has been in the offering for years and years, it's almost legendary how long it's taken this to happen. So what made it happened this time, as opposed to all the other time it's been talked, and kicked around. Kurt: It was me. It was me - I did it! So Tom contacted DC, this was only a little while when DC tried to contact Marvel, and they put it together. George was the only choice for the artist. And since Mark Waid was writing JLA, at the time, and I was writing AVENGERS, at the time, it made sense that we were going to co-write it together. Except to my eternal joy, to my surprise, Mark had juuust signed an exclusive contract with CrossGen. Lea: That's a while ago! Kurt: Well that's when it happened. So I got the deal solo. Lucky me, ha ha and you, eh? Since it has been asked many times, here is how orders will be handled for JLA/AVENGERS artwork. With respect to complete issues ... a friend of George's did him a MASSIVE favor when he needed it most, and as a result, George has granted him (and only him) first right of refusal for any ONE complete issue of his choice other than issue #3. Issue 3 is going to be broken up as George has drawn some of his friends into the issue (no more than one person per page, so there won't be any fights). The rest of the series will be up for grabs. The pages will be listed for sale on my website ... http://www.theartistschoice.com as soon as possible after the book ships ... orders will be filled on a first come first serve basis. ** NOTE ** I WILL NOT take any orders until the prices are posted publicly and everyone has a chance to see it. So PLEASE, if the prices are not yet up, do not send an order in. Until the prices are posted, any orders that come in beforehand will be discarded. Also, I will NOT accept phone orders ... all orders MUST be placed by email . The status of cover sales is still under review as George and I have a couple of different ideas what to do with them. As soon as a final decision is made, I will let everyone know. For those who are thinking does Mr. Perez know how high Spencer has set the prices? The answer is YES ... he is well aware of how high I have set the base prices at. It is our feeling that this is a once in a lifetime job for him and once everyone sees the artwork, it will be worth the price. Especially since this is going to be the last time he draws mainstream super heroes for forceable future. George has said that even if there is a decision to do a sequel, he will not draw it. When you see how much work he put into the artwork you will understand. Having pushed himself to the limit artistically with this story, NO ONE will ever be able to say he took the easy road. Payment methods accepted will be the same as always ... Payment will be due in my hands within 10 days of confirmation. Accepted forms of payment are personal & business checks (which must clear the bank before artwork will be shipped), certified checks, cashier's checks, money orders and Western Union. For International Orders, payment methods accepted will be Money Orders in American Funds, Checks drawn from American Banks or Western Union. Postage will be in addition to the cost of the art as usual as well. I hope this answers as many advance questions as possible. More will be spelled out clearer when the artwork is closer to being available for sale. Superheroes take center stage at the 4th Annual New York International Sci-Fi & Fantasy Creators Convention, which is being held this weekend at Madison Square Garden. The show features a mix of media and comics guests, including a rare East Coast appearance by Brian Michael Bendis. The con was cool - with a ton of guests. The convention program featured the new TEEN TITANS by Phil Jiminez and Scott Hanna. George Perez was a guest at the 4th Annual New York International Sci-Fi & Fantasy Creators Convention in NYC. As he sketched, George revealed the Titans will be appearing in JLA/Avengers. When asked "which incarnation of the team?" he answered "several." George is presently working on the last issue [#4] of the crossover. Looking forward to seeing George draw the Titans characters again! I too had the pleasure of seeing the man once again in NYC! It was rather strange actually...I was up on Sunday, and was strolling around and I rounded the far corner of the show where the artist booths were and there he was. Sitting there alone and sketching! I was surprised because when he comes down to Baltimore for Marc's show, he is instantly swamped!! Booked up for sketches all weekend in like 5 minutes. Anyway, I asked if he had time to do more, thinking he wouldn't... but again to my surprise he wasnt backed up at all. I got on the list, and in less than 2 hours was the proud owner of a Hellcat headshot! Crap... I was sweating for a minute there too trying to think of who to get. All of a sudden, I kept drawing a blank...I wanted to get a girl, and one he hasnt drawn 5 million times. I also got my brother a sketch of Batman I will be giving him for his birthday in Oct. so shhhh...dont anyone tell! As usual, the money went to charity, and he was really busting them out that day. I wish I would have gotten there Saturday, because that was full body sketches day, Sunday was headshots only. George said that ish #1 of JLA/Avengers will be out by the time March's show rolls around (Vu: Release date for JLA/A #1 is set for Sep 4, 2003), and he hopes that everyone will have at least 5 copies for him to sign! He said he's almost done all the art for the last issue (if I heard him right) and he is having a ball finishing it up. As usual, he was/is the nicest guy in the world to talk to, and if anyone on the list hasnt had a chance to talk with him, I highly recommend going to a comic show near you to meet him in person. It will be well worth the tavel time! If anyone is interested, I'll post the headshot sketches in the files section or something. Mr. Tom Brevoort (AVENGERS/JLA Co-Editor/Great Guy) announced at the Marvel Universe/Max/Marvel Knight Panel on Friday about AVENGERS/JLA #1 coming out in September 2003. ACTOR was selling SOLUS #1 Limited Edition Laser Cels (Limited Edition of 500) Unsigned $20.00 and Signed by the entire creative team (SOLUS) $40.00. I bought a unsigned copy. I met Mr. Geoff Johns (AVENGERS, JSA, TEEN TITANS, HAWKMAN) Another great guy. I attended Cup O' Joe Q & A Panel. Where I ask a JLA/AVENGERS to Mr. Joe Quesada (Marvel Editor-in-Chief), I still transcribing the response, so look for that later in the week. I attended the DC: Expanding Our Universe Panel. Where the folks at DC announced that JLA/AVENGERS #2 and 4 would be coming out in October and December of 2003. I also attended the 1 on 1 panel with Mark Alessi (CROSSGEN) minus Mr. Alessi who couldn't make the con due to last minute commitments. Ron Marz was there along with one of the CROSSGEN heads. I meet Mrs. Barbara Kesel (SOLUS) at the CROSSGEN Booth (Nice Lady) I got a big hug when I ask her if I could get my picture taken with her. There were four or five total limited edition posters (CROSSGEN) that were given away during the con through free raffles. These posters featured original art done exclusively for WIZARD WORLD EAST and signed by everyone at CROSSGEN. May 30, 2003 | JLA/A in September! Tom Brevoort stated today at WIZARD WORLD EAST that JLA/AVENGERS #1 will be released September 2003, with issues following in Oct, Nov, Dec 2003. Lets see here. There's a possibility. I don't remember, I will have to check the list again that even the Heroes Reborn version of the AVENGERS will make an appearance, ah, for no other reason than they were on the AVENGERS Banner and they feel duty bound to have/to do every character I desire. I don't want a fan to come in and say you left someone out and then they will say 'Oh My God we forgot because they know they're dead.' (George and crowd laugh). JLA/Avengers Page Count confirmed on auto tape via JLA/Avengers Panel at the PITTSBURGH COMICON 2003 (April 27, 2003). Re: Kurt, hey Kurt ! I got word today that the fourth plot is finally and fully approved. More preview pages from JLA/Avengers will be trickling out, although DC sources did not say as to how. Reportedly, George Perez is on issue #3 of the crossover, while Kurt Busiek is plotting issue #4. Avengers/JLA update, George was working on page 16 of issue three. Q: JLA/AVENGERS.How far along is the project? A: George is working on #3. I'll be plotting #4 soon. Q: Have you been deluged with "who should beat/meet who" emails from fans? A: Of course. Many of them will be disappointed, of course, since we got just as many people insisting that Thor should beat Superman decisively as people insisting that Superman should beat Thor decisively. And we got so many lists of who-should-fight-who that even if this book -was- called JLA/AVENGERS: TAG-TEAM FIGHTS, we'd run 12 issues and still wouldn't fit them all in. But this book is about teams, not about solo battles. And for that matter, the two teams -fighting- has never been the main point, only part of the story. Q: As you have been working on this project, what has been some of the surprises you have encountered? A: There've been some surprises about how the plot developed, as we discovered nice bits that fit in easily, or moments that made the whole project that much better -- but I can't tell you about them. In terms of the working arrangement, there haven't been surprises -- it's gone more or less the way I'd have expected. Slower, but as expected.